Eswar Prasad is the Tolani Senior Professor of Trade Policy at Cornell University. He is also a Senior Fellow at the Brookings Institution, where he holds the New Century Chair in International Economics, and a Research Associate at the National Bureau of Economic Research. He was previously Chief of the Financial Studies Division in the International Monetary Fund’s Research Department and, before that, was the head of the IMF’s China Division. Eswar Prasad’s latest book Emerging Markets: Resilience and Growth Amid Global Turmoil (with M. Ayhan Kose; Brookings Institution Press) was published in December 2010. His extensive publication record includes articles in numerous collected volumes as well as top academic journals such as the American Economic Review, American Economic Journal: Macroeconomics, Brookings Papers on Economic Activity, The Economic Journal, International Economic Review, Journal of Development Economics, Journal of Economic Perspectives, Journal of International Economics, Journal of International Money and Finance, Journal of Monetary Economics, and Review of Economics and Statistics. He has co-authored and edited numerous books and monographs, including on financial regulation and on China and India. Current research interests include the macroeconomics of financial globalisation; financial regulation, monetary policy frameworks and exchange rate policies in emerging markets; and the Chinese and Indian economies. Prasad has testified before the Senate Finance Committee, the House of Representatives Committee on Financial Services and the U.S.-China Economic and Security Review Commission, and his research on China has been cited in the U.S. Congressional Record. He was a member of the analytical team that drafted the 2008 report of the High-Level Committee on Financial Sector Reforms set up by the Government of India. 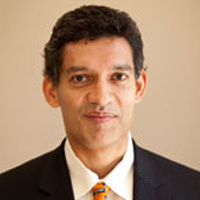 He serves on an Advisory Committee to India’s Finance Minister and is the Lead Academic for the DFID-LSE International Growth Center’s India Growth Research Program. He is the creator of the Brookings-Financial Times world index (TIGER: Tracking Indices for the Global Economic Recovery). Prasad is also a Research Fellow at IZA (Institute for the Study of Labor, Bonn) and an Associate at the National Bureau of Asian Research. He has served as the co-editor of the journal IMF Staff Papers, was on the editorial board of Finance & Development and was the founding editor of the quarterly IMF Research Bulletin.